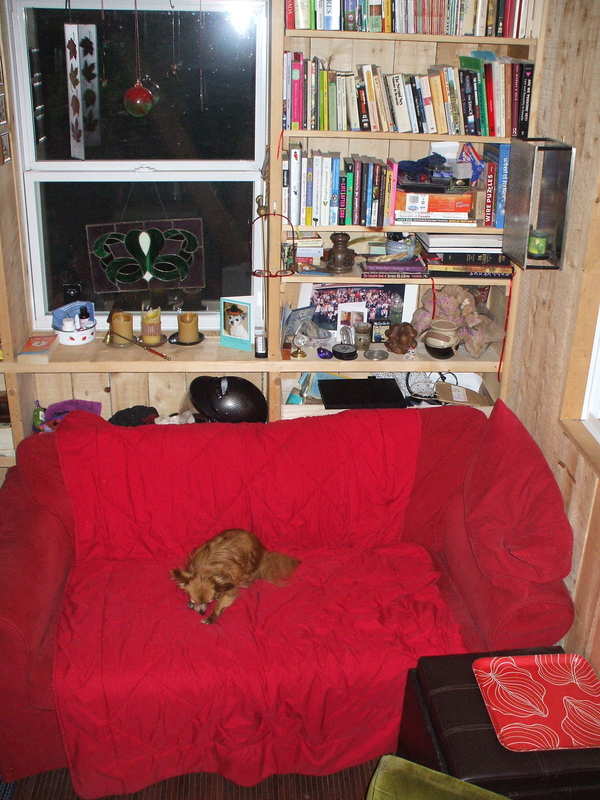 I rearranged the furniture at Tiny House and have found that I really like to sit in this little corner. It is particularly nice if one of the dogs cuddle in with me while I read or write. The photo of Honey is not too flattering, but she does not get on line much and I won’t tell her about it, so please don’t tell her about it either.